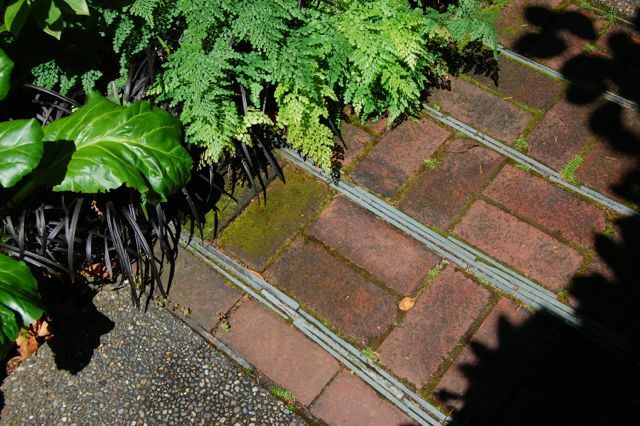 When a paving geek like me visits a garden, camera in hand, you can be sure that some shots will be about what’s underfoot. So this Friday’s Idea File focuses on the hardscaping under the snow. 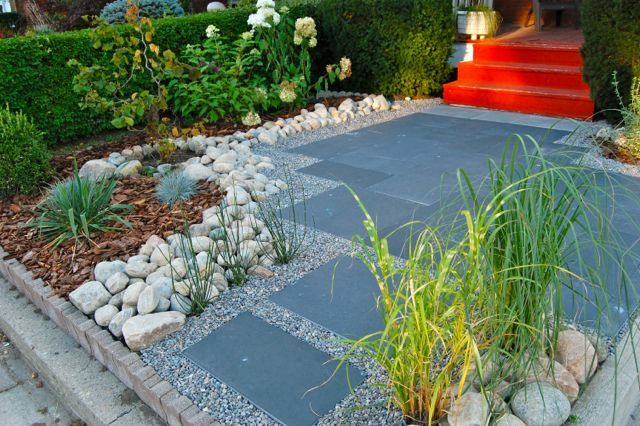 As you can see, you don’t have to settle for standard unit paver patterns or materials. 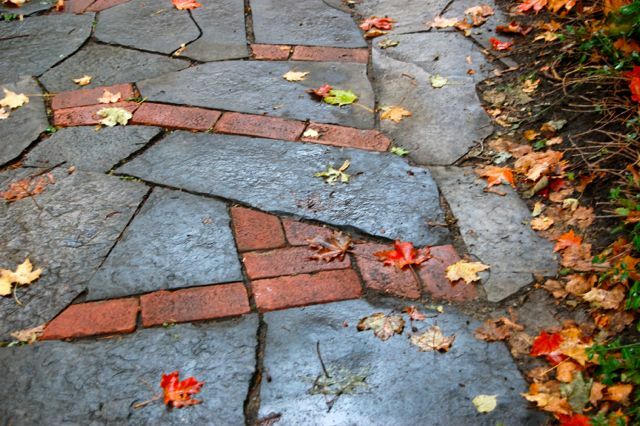 Nor does it have to be expensive – see my own quick paving fix from this summer. Some captions here have links to follow for more views. 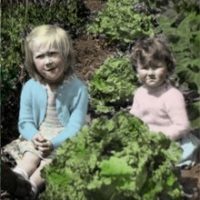 We’ve collected more ideas on our Toronto Gardens Facebook Page. Etched concrete – you can use this technique to update existing concrete. Emphasis reversed – brick, with slate set on its side. 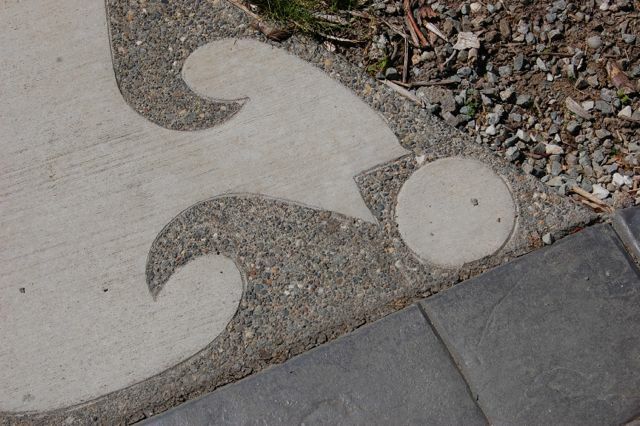 Exposed aggregate in the concrete makes the path less slippy. 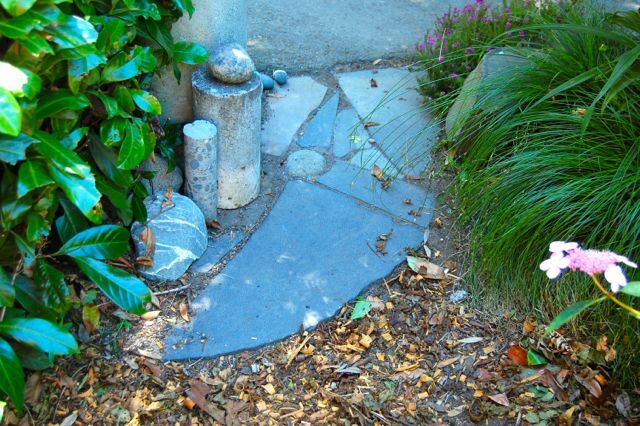 Recycled oddments blend the driveway into the mulched trail. Kate Farley’s garden, Seattle. 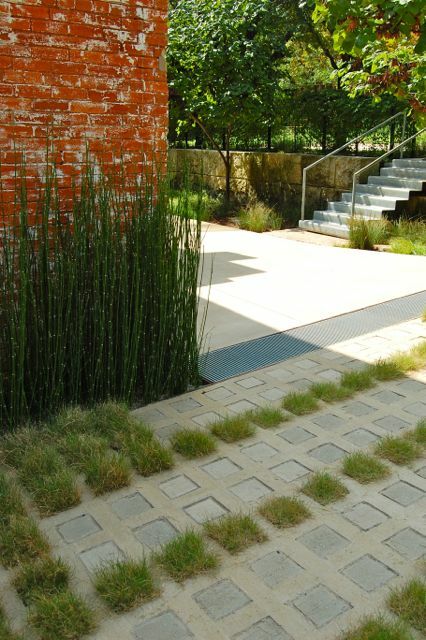 Great texture, with integrated grass (other squares included gravel) in the Pump House garden in Dallas, TX. Next door, the Garden on Turtle Creek by Michael van Valkenburgh was a paving idea extravaganza. These are all beautiful, but I absolutely love that limestone and brick combo. So pretty! What I like about the limestone and brick combo is the unexpected, non-linear use of the brick. It's literally out of the box. I don't know that I can choose….I do like the brick and limestone but each is nice. I tend to go toward the organic shapes, but I have to say that I love the grass and paving look in the Dallas Pumphouse garden. I agree with you Coleen, limestone and brick combo are absolutely beautiful. 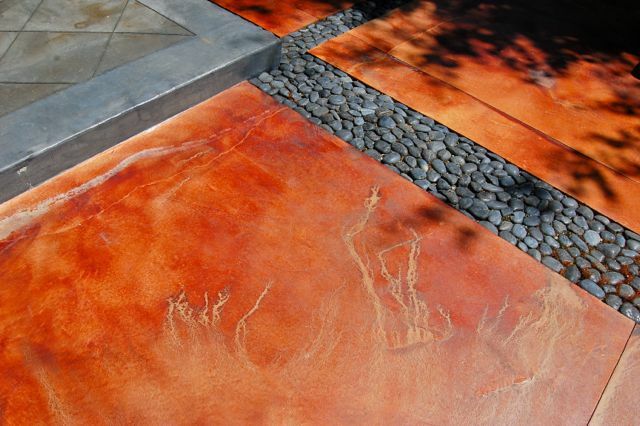 The colour of the stained concrete is gorgeous. I agree. When we installed our concrete steps, I looked into staining it, and might do still. I don't know if I'm brave enough to go for the rich colour in this garden, though. A real statement. Drying herbs is easy. Really.